“The Carls are coming! The Carls are coming!” or “The Oles are Coming! The Oles are Coming!” These familiar war cries epitomized the rivalry between Carleton and St. Olaf colleges in the post-World War II era. 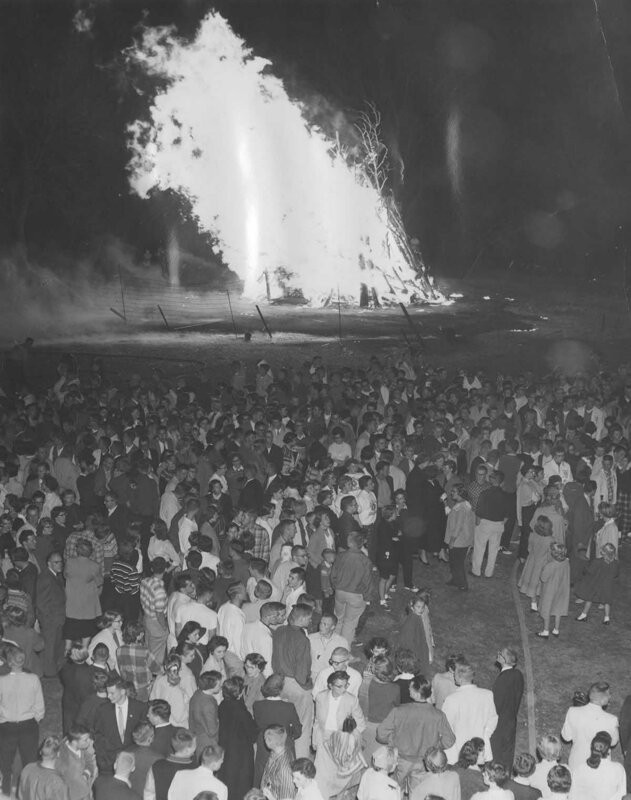 For students from both schools, the strategic objective was to prematurely set ablaze the stockpiled firewood that was to be used for the homecoming bonfire. 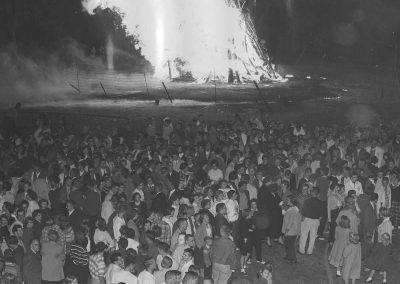 The exact origins of the bonfire rivalry are murky, but for St. Olaf the first homecoming bonfires date to the mid-1880s, when Oles annually gathered below Old Main, celebrating the founding of the St. Olaf College on November 6. 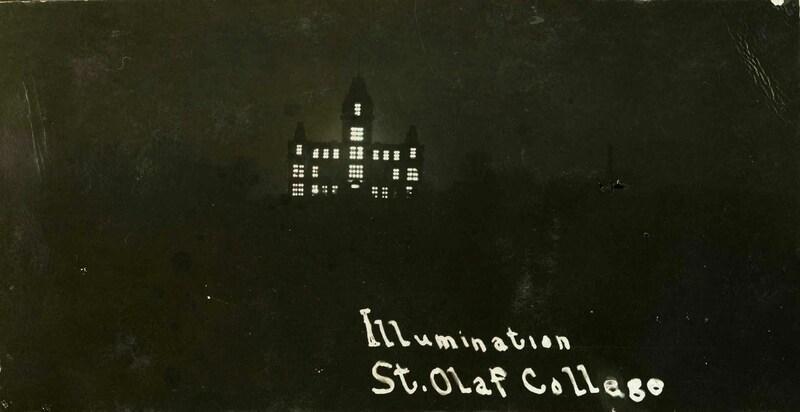 As people warmed themselves by the crackling fire, they witnessed an “illumination of Old Main.” A team of about thirty students created illuminated patterns by lighting candles in the windows. 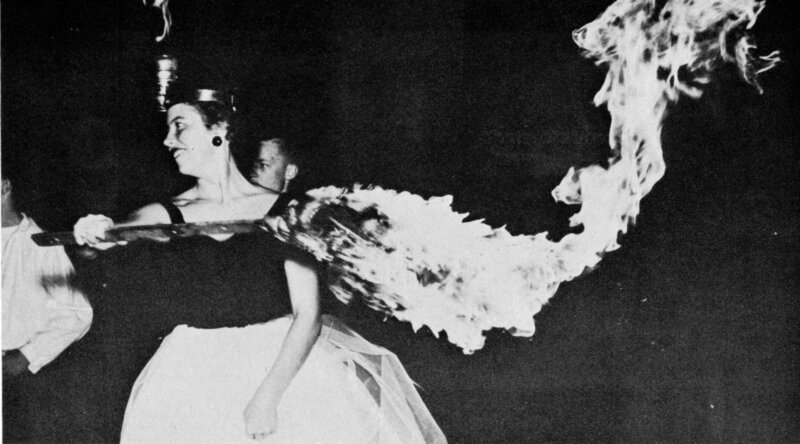 This annual practice lasted until the early 1920s, when it was deemed a fire hazard. It was said that Carleton College had the best view from across the Cannon River. For both Oles and Carls, getting caught trying to set the other school’s stockpile ablaze meant getting your head shaved. 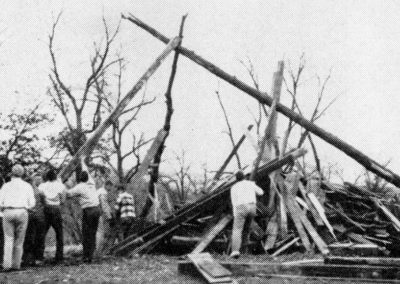 In 1954, one unlucky bunch of five Oles had letters shaved into their hair that, when lined up, spelled C-A-R-L-S.
As the rivalry intensified, so too did the importance of protecting the bonfire. 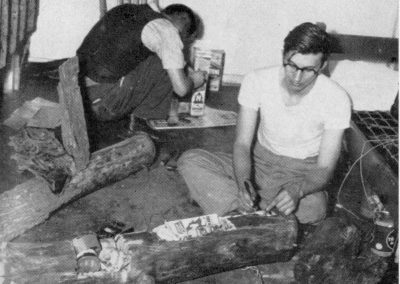 In the 1940s and 1950s, St. Olaf freshmen men gathered wood and guarded the pile under the supervision of the upperclassmen. The upperclassmen kept the younger men on their toes by yelling “Carls! 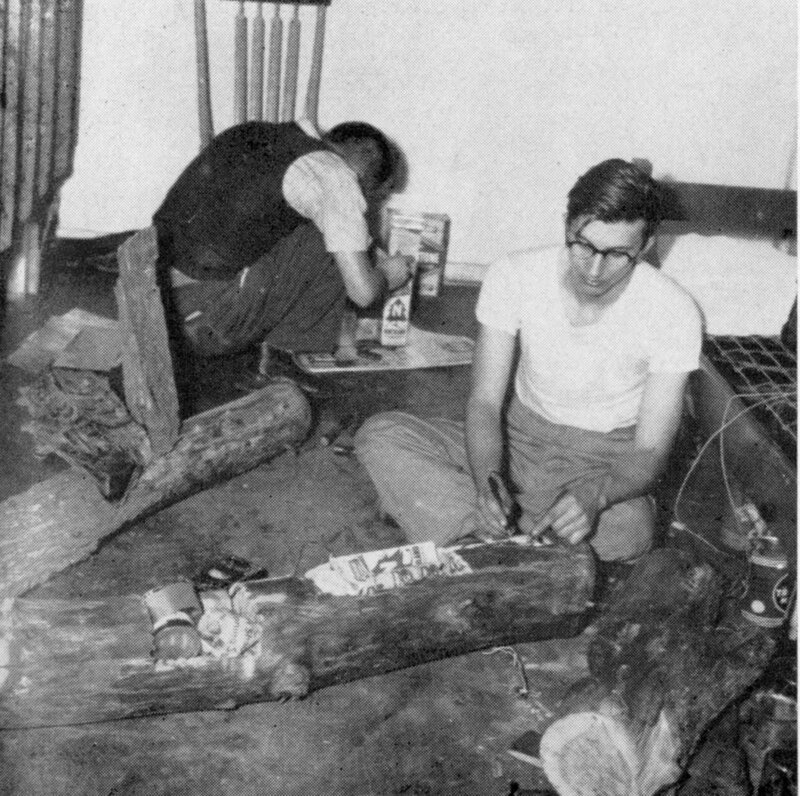 Carls!” if the freshmen fell asleep on the job while guarding the logs at night. 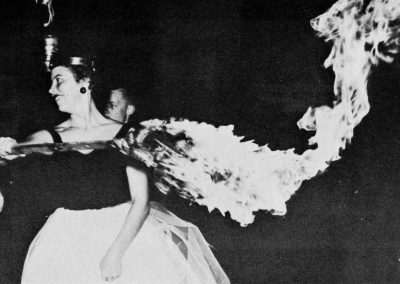 The traditional raids came to a halt in the mid-1950s. Carleton apparently asked for a truce [see site story “Mud Tug”], finding their raiders frequently outnumbered. For St. Olaf, the annual homecoming bonfire was generally held in front of Old Main until 1987. Participants in the bonfire keep their distance from the flames, ca. 1956. The bonfire pile is assembled by some capable freshmen, ca. 1952. 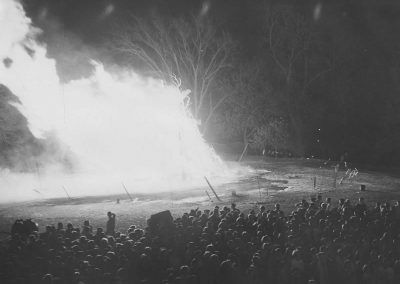 St. Olaf’s first homecoming bonfires date to the mid-1880s, when Oles annually gathered below Old Main, celebrating the founding of the college on November 6. 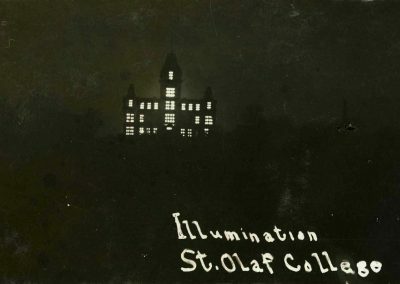 As people warmed themselves by the crackling fire, they witnessed an “illumination of Old Main.” A team of about thirty students created illuminated patterns by lighting candles in the windows. 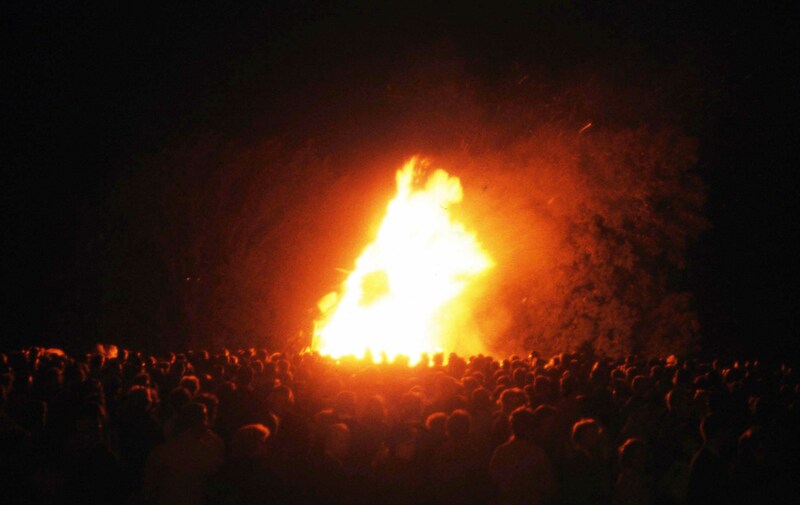 Oles gather ’round the Homecoming Bonfire, ca. 1964. 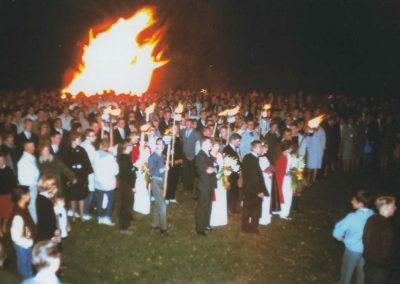 Students celebrate with their elected homecoming court at the annual bonfire, ca. 1964. 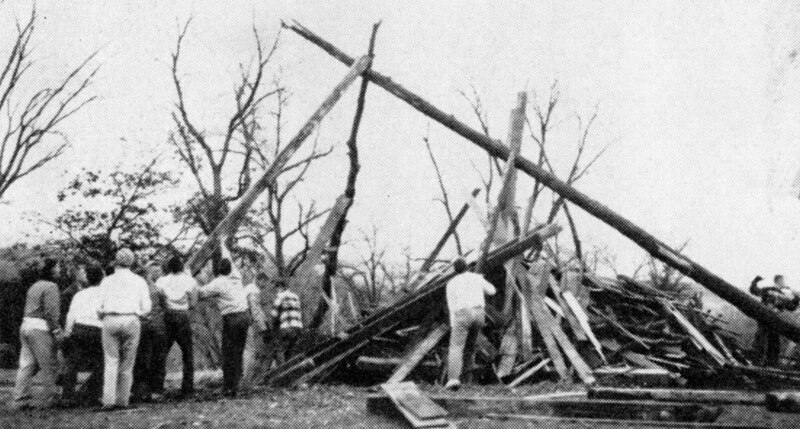 This location once housed the annual homecoming bonfires. 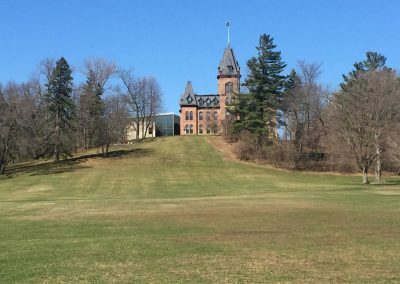 Today, it serves a recreational field for students. 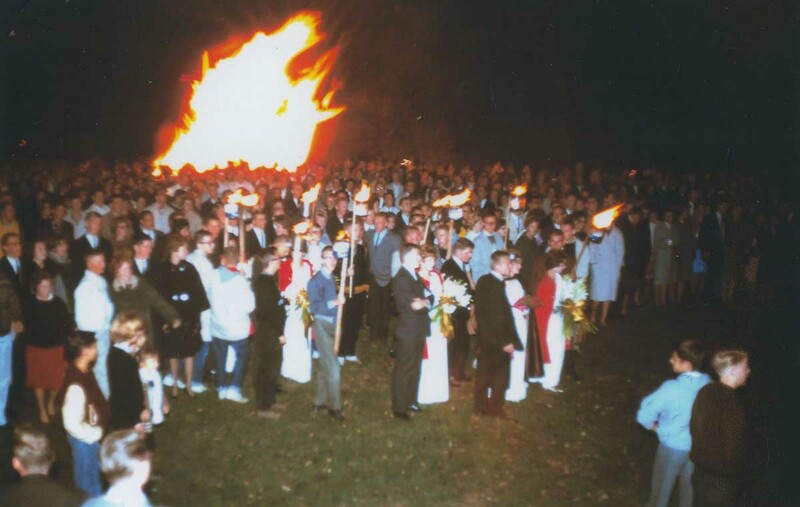 Homecoming Queen Ruth Kelly performs her royal duty by lighting the bonfire, ca. 1954. Students socialize at the bonfire, ca. 1955.